As America continues to search for weight-loss solutions we are finding that more options are presenting themselves and that they are effective. At Surgical Healing Arts Center in Fort Myers and Naples Florida we are introducing some of these new options. The non-surgical Orbera™ weight-loss balloon is a procedure that we are now offering to qualifying patients. Here is a link to a video from the Dr. Oz show that gives us insight into what is involved in this procedure. NBC Nightly News is raving about the procedure as well! Here is what NBC Night News is reporting about the procedure. 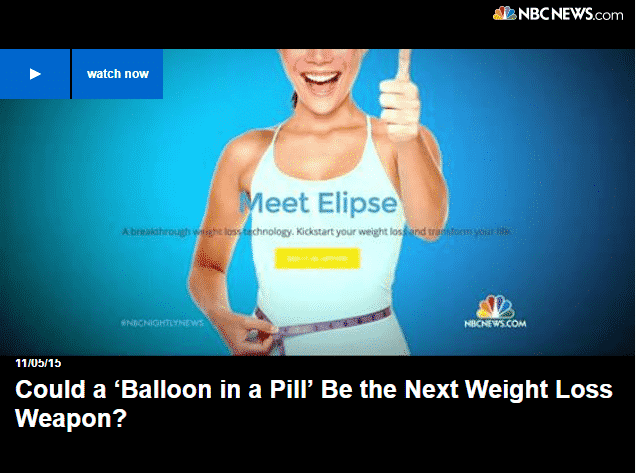 The Dr. Oz show aired another segment about the Orbera™ weight-loss balloon that featured a patient that is currently benefiting from the procedure. Here is a link to Part 1 of that segment. Contact us today to speak with our experts about Orbera™ Weight-Loss Balloon.